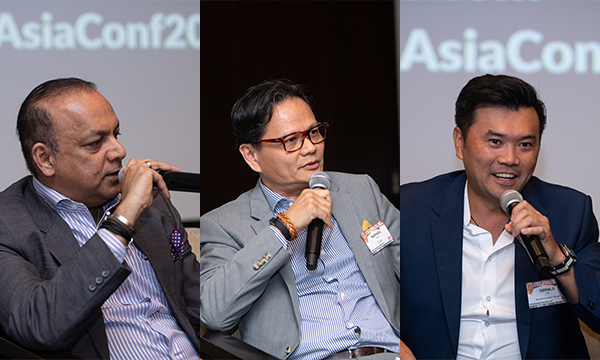 Tan says great digital experiences mean very differently to baby-boomers, mid-age marketing directors, and the pool of younger marketing millennials. As Marketing Director of A&W Restaurants International and Chief Marketing Officer of A&W Restaurants Indonesia–currently A&W’s largest market in the international scene with over 240 restaurants across the archipelago— Tan is responsible for the brand’s international marketing, brand management, consumer insights and franchise business leadership. Including his time spent on Starbucks, Subway Restaurants and Long John Silver’s, he has over 15 years of marketing, branding and corporate communications experience, all of which are grounded in his passion for food and innovation. 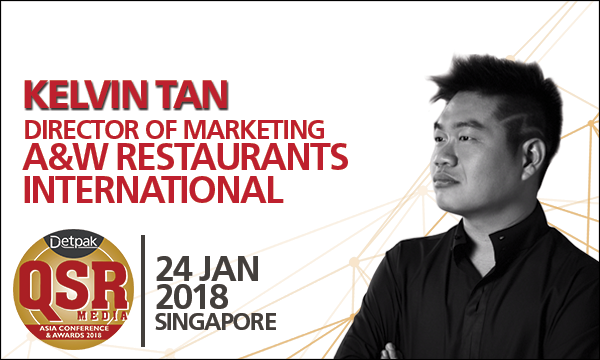 He will be amongst the panelists for the marketing and digital panel in the upcoming QSR Media Detpak Conference and Awards on the 24th of January 2018 at the Grand Copthorne Waterfront Hotel in Singapore. QSR Media: What are your previous experiences and positions? First and foremost, I was bred as a creative advertising professional who went through the ranks of account planning and brand strategy on the agency side of things. Subway Restaurants, Starbucks Coffee, and Long John Silvers were some of the regional brands I have been very blessed to work on during my younger days in both agency and marketing capacities. They all pose various challenges as each of them is in different stage of business life cycle. About four years ago, I am very fortunate to have been approached by A&W Restaurants International for an international role that will see me as their marketing custodian for the brand in the international space, subsequent to a Chief Marketing Officer position in Indonesia. QSR Media: What’s the most crucial part in executing a marketing campaign? Some would say it’s the food. Some would say it is the creativity and innovation. Some might even say it is the budget. I guess QSR marketing these days is less focused on what is being sold, and more on how it is actually sold. It is sad but it is a reality. I would say the most crucial in executing a marketing campaign is its authenticity. Whatever digital might bring to the table, authenticity is crucial to sustained loyalty from audiences. This poses a challenge: the irony is that marketing (more so with digital), by nature is not really authentic. It’s a cut-throat competition as brands compete in the cleverest way possible. So how do we appeal in a way that feels natural, without overtly being authentic? Don't say you are – straight-talk your brand to drive differentiation. Stop paying KOLs who does not believe in your brand to speak for you - let real fans stand up for you. Be willing to be attacked - find out things you may not want to hear! Let’s fulfill the appetite of our audiences in ways that are natural to them - the root of brand authenticity. QSR Media: What trends have you observed within the QSR and fast casual industry today? Every Quick Service Restaurant is already on the digital bandwagon, with some mid-size QSRs increasing their digital spend double or even triple-fold year on year. Now, some are venturing into virtual experience economy, with digital personalized experience, be it VR or AR-experience, serving up as ultimate side platter. This phenomenon certainly has placed a lot of emphasis on tapping into big data, proliferating programmatic one-on-one marketing versus mass advertising that, we, marketing directors, are so accustomed to. Utilising such marketing approaches meant two things to mid-size QSR businesses like A&W Restaurants. First, because one-on-one marketing consumes a lot more resources and talent in data crunching and serving custom advertising messages, it also means the same marketing dollars we used to have now has much lesser reach, even though it is depth of creating quality, status-accruing experiences we are talking about now. Are we focusing too much on that emerging one millennial consumer? Second, while digital experiences most certainly can value-add in this experience economy, can virtual kitchen simply replace real kitchen? Can internet of experiences replace “real” eating experiences? Consider that It’s not even our tummies we are feeding first these days; it’s the camera and our social fans we are feeding first! QSR Media: Can you give us a glimpse of what will you be sharing in the panel session: Marketing and Digital Panel? Marketing directors indeed need to juggle with many balls in air these days. Too experiential in marketing approach, we risk losing the sanity of senior franchise owners/investors who do not see in the same way millennials would see food consumption! Yet if lacking in personalization or self-expression, millennials don’t seem to lend their eyeballs. We need to level up and down the different stages of digital experience curve between baby-boomer owners of the franchise business, mid-age marketing directors, as well as the pool of younger marketing millennials. Great digital experiences mean very differently to any of these three groups. The challenge is to manage them seamlessly so that we can launch the experiential campaign we always wanted (without risking backlash from the franchise owners or even our baby boomer loyalists).